No Jedi should travel without a robe to conceal their identity. 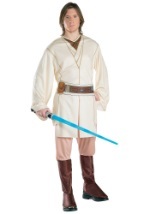 Now, you can create a bona fide Star Wars look with this authentic adult Jedi Robe. 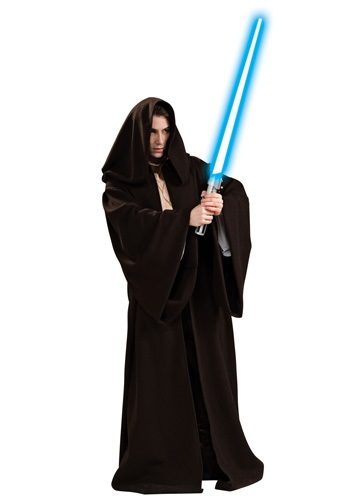 The dark brown full-length cloak features a deep, shadowy hood and long, open sleeves, giving your Jedi costume the touch of perfection it deserves. Slip on this robe with our Jedi costumes and add a lightsaber in case they catch on to your Jedi mind tricks. Robe is made of 100% heavy polyester.